What you see here is the before and after of a job we completed in less than 2 days this week. Click on any image to view full size. 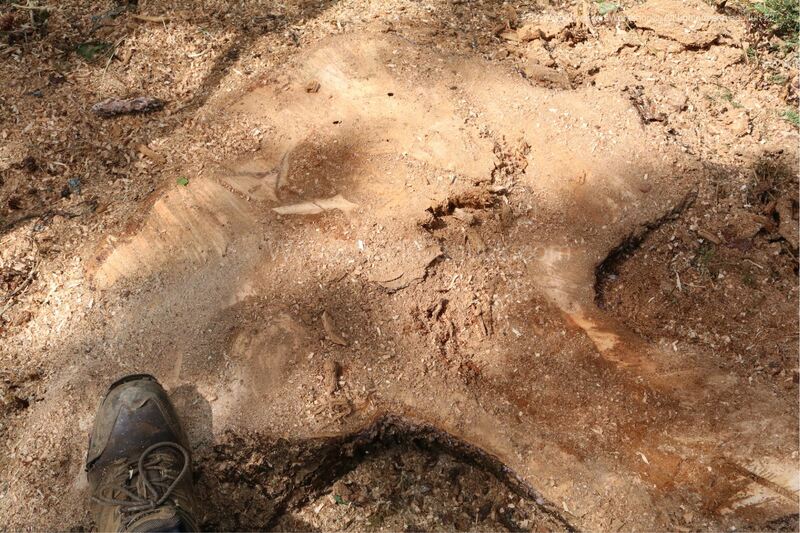 The homeowner contacted Restoule Forestry Services of Giants Lake, NS. Dave Restoule is an awesome arborist. 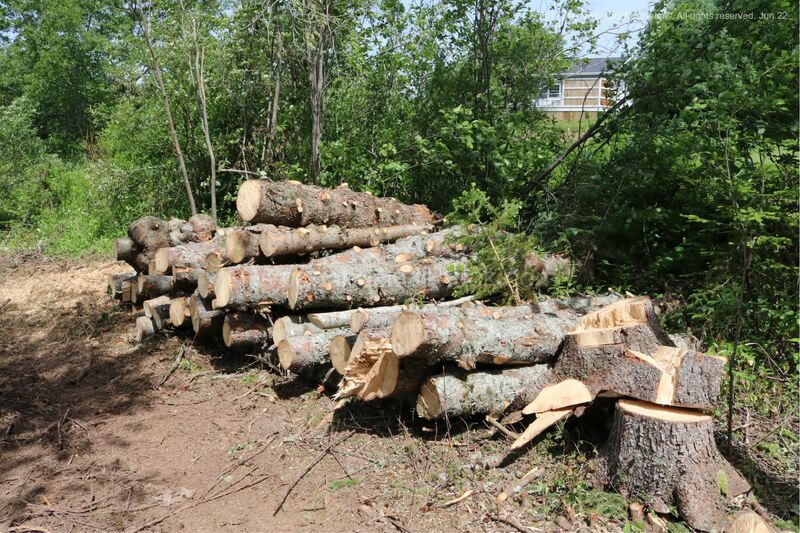 There were 13 very large spruce trees located on the homeowners neighbours property but lined up right next to the homeowners house. He got permission from the neighbour to have them removed because they posed a hazzard being so close to his house. Dave contacted Jim and I to see if we could assist using the skidsteer and chipper. 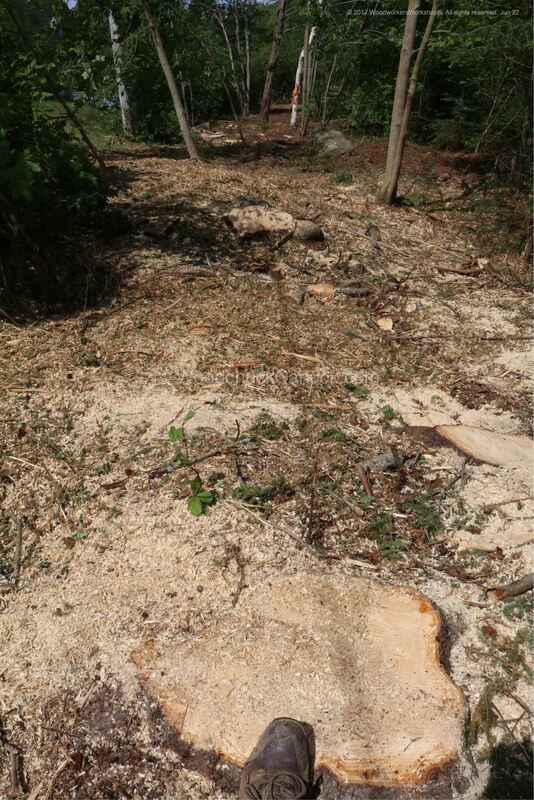 There were 4 of us working on the project, including ShaneHines, and it took 1 3/4 days to get all 13 trees down and chipped. 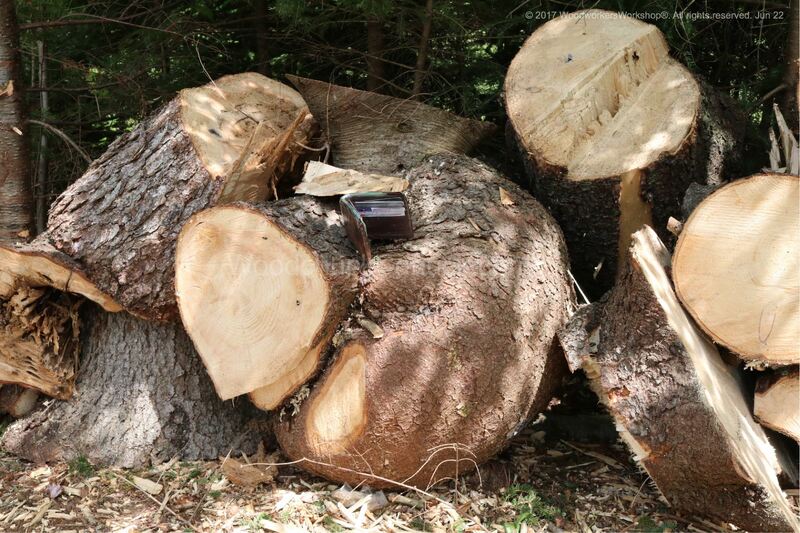 The logs were put in a neat pile for the homeowner. 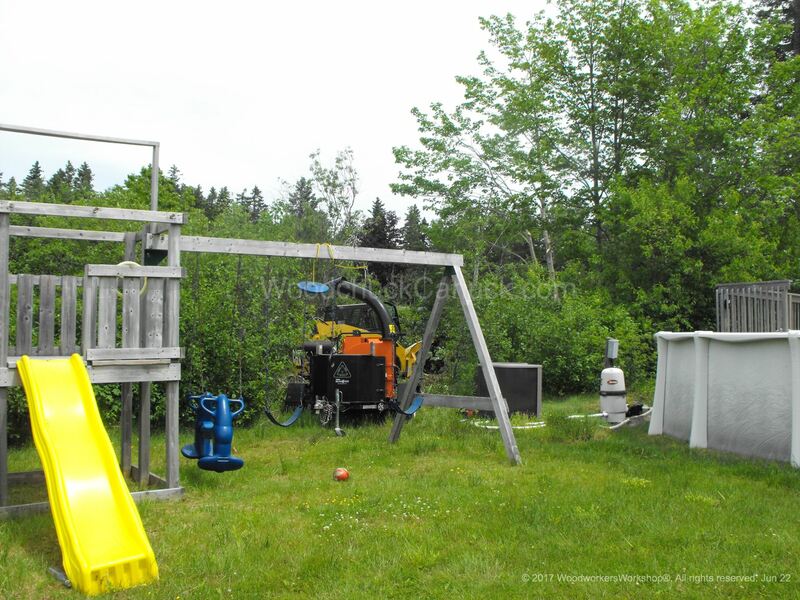 In the beginning we positioned the chipper in the backyard, being mindful of the swimming pool. Oh the swimming pool… The first day was 26 degrees plus high humidity. The pool looked pretty good by the end of the day. The second day was very warm too but with no humidity, it was much more comfortable working. One tree, I think it was the second one, got snagged up in a clump of maple trees, that slowed us down but Dave managed to get it cleared out. The first tree or two were the most challenging but once we got our groove we were unstoppable 🙂 Dave didn’t have to cut any limbs off the trees in the back of the house before they were felled, we did that once they were on the ground. By the end of the first day we had 8 trees done and it was time to relocate the chipper to the front lawn for the remaining 5 trees. The next day, with the chipper at the front of the house we didn’t have to drag branches so far. Made for quick work. 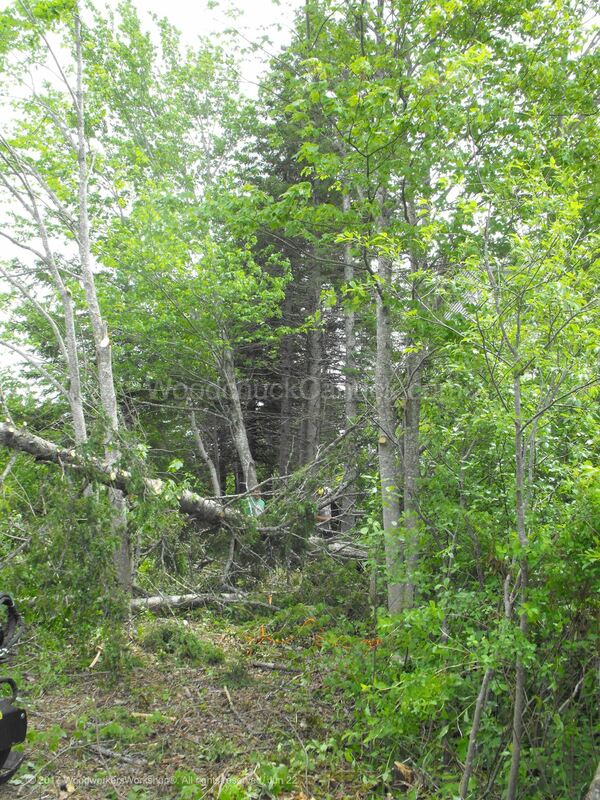 Dave did have to limb up the trees before they could come down because there were power lines he had to avoid. 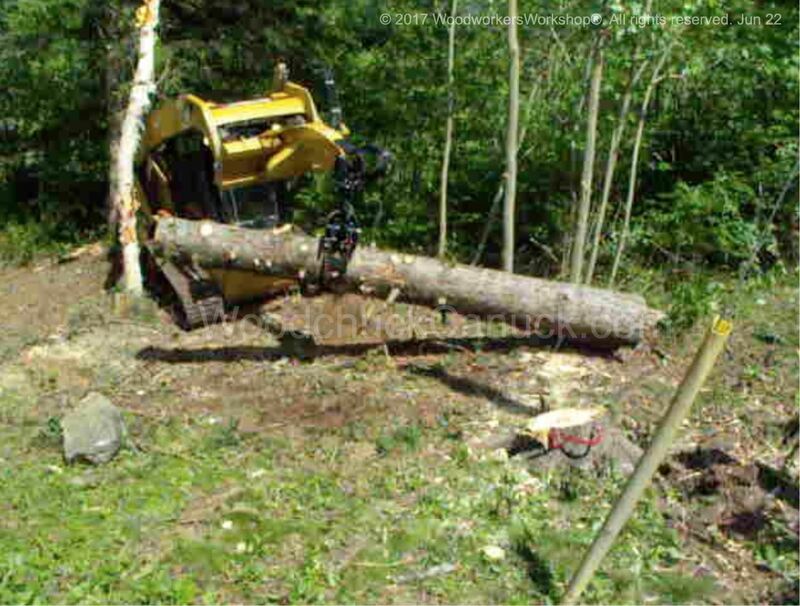 The arborist, Dave, did all of the tree climbing of course, and he would go up and secure the line to the tree and then bring it down and tie the other end to the skidsteer. Jim would keep the line tight to help direct the tree away from the house. All the trees were top heavy on the side next to the house. The homeowner wanted to keep as many of the other trees as possible so it was tight quarters and a narrow space to fell the trees. Once the trees were down the 4 of us would go to work de-limbing and dragging the branches to the chipper. 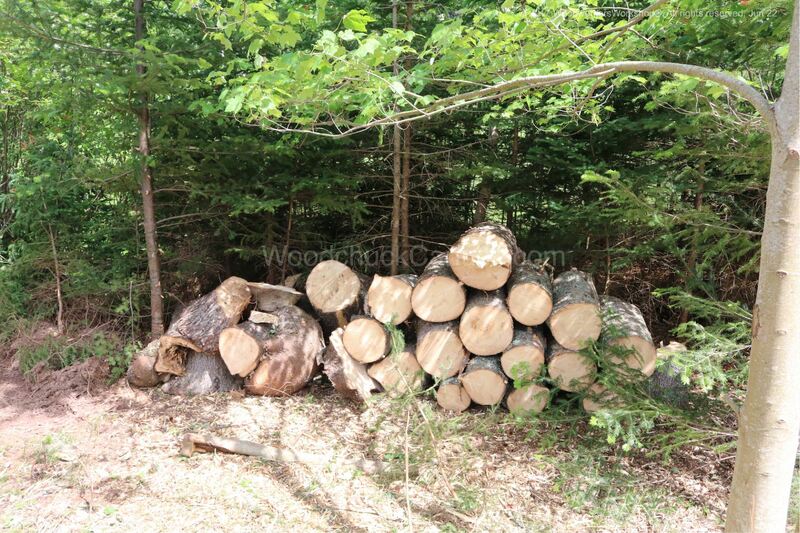 Then Jim would pick up the logs and make a neat pile for the homeowner. The shorter pieces we hand stacked. 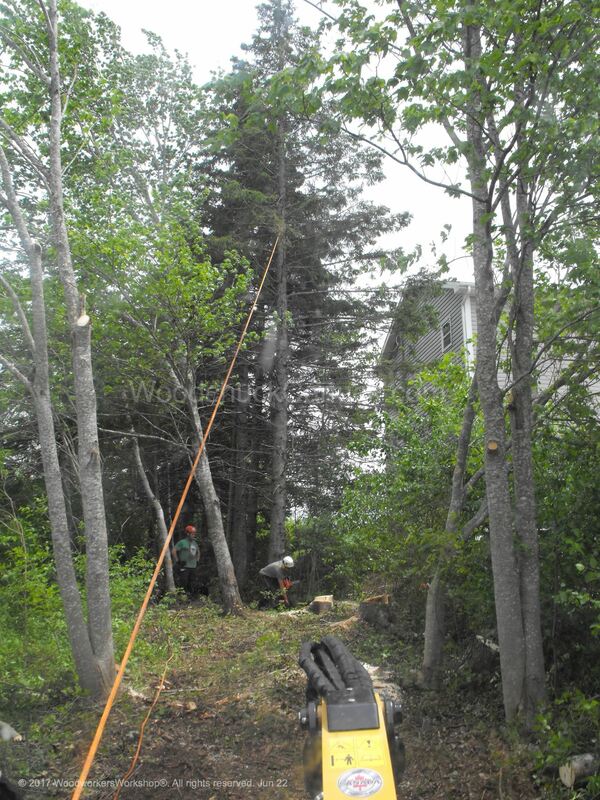 This pic shows Dave working on the very last tree, notice the power lines. 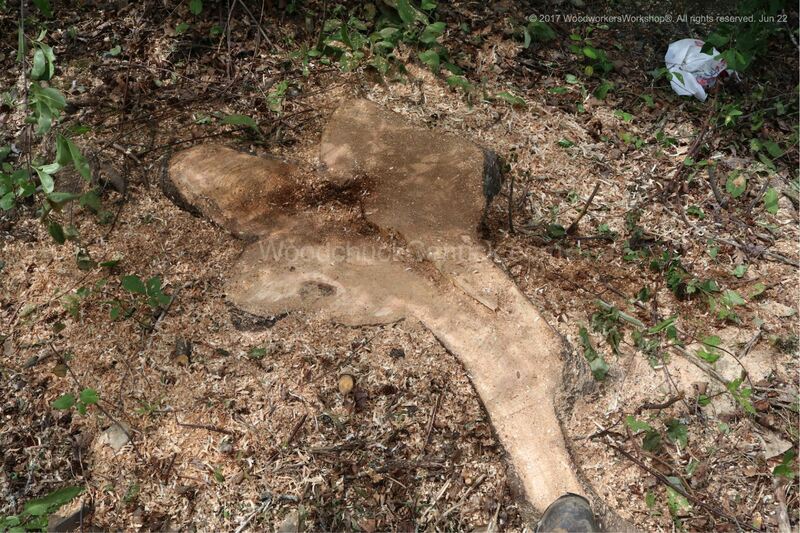 As you can see the stumps were large and Dave made sure to cut them as close to the ground as possible. This helped too when the skidsteer was weaving in and out of the trees that were to remain standing. 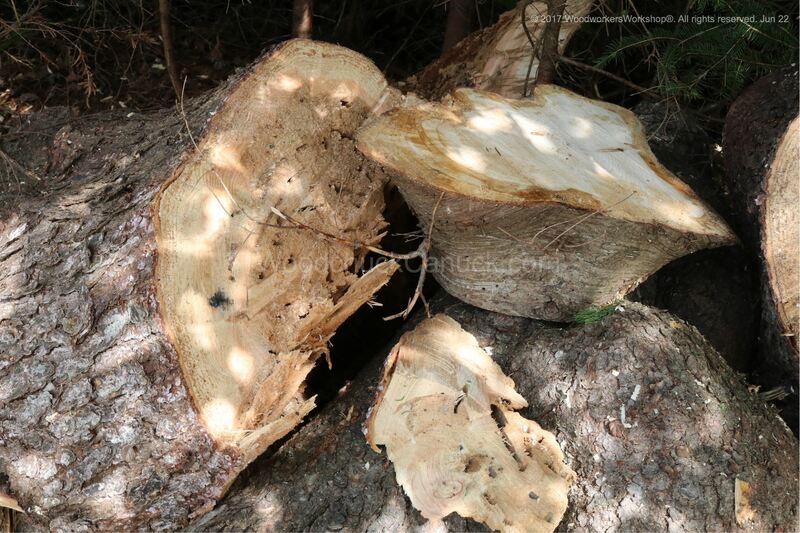 A few of the trees were actually rotten inside and this just reinforced the homeowners decision to remove them before they fell towards his house causing damage. Another burl, wallet for scale. We made sure to rake the lawn and leave the lawn just as we found it. I’m sure the homeowner will appreciate it when he has to mow. Here’s a short 3 minute video highlighting some of the work.